Partnership with nonprofit sector institutions in public policy administration is indispensable for public policy administrators to ensure social justice in a free market economy. It is important to emphasize this fact because political debates are often two sides of the same coin with the introduction of money into economic reasoning. Valid arguments can always be made on the supply side as well as on the demand side. Ensuring social justice often requires recognizing the gray area of compromise, where money is regarded only as the means of exchanging the needed goods and services rather than as the desired end. Ensuring equitable access to essential goods and services for improved living conditions of every family in a community is a critical social justice issue in economic development. This issue cannot be ignored because (with the introduction of money into the economic environment of essential goods and services) intertwined mutual costs and benefits of communal efforts in the production processes tend to be under-valued. Individuals or private sector institutions cannot always proportionately internalize all costs and benefits. On the other hand, public institutions cannot always absorb all production costs for equitable access to every individual person. Markets remain indispensable for equitable and efficient distribution of essential goods and services in terms of supply and demand. Therefore, partnership with nonprofit sector institutions will always be needed for equitable distribution of essential goods and services to ensure social justice. Markets in terms of supply and demand are critical not just for equitable and efficient distribution but to ensure continuous qualitative production of essential goods and services. A free market, in particular, provides suitable environment for improvements and innovation. While using free market for allocation of essential goods and services, however, the profit incentives that drive the market with the introduction of money into the economic environment should not be underestimated to ensure social justice. Free markets encourage competition, individual freedom and personal achievements, though communal efforts remain indispensable. Hence, nonprofit sector institutions will always be needed as part of the free market to ensure social justice. Social and economic activities are inextricably intervewoven in various markets for essential goods and services. Those activities cannot be fully separated without limiting individual freedom, competition and personal achievements that drive markets. The mission focus of nonprofit sector institutions is not just to equitably distribute essential goods and services but to enhance their social values through qualitative production. It is this mission focus that makes partnership with nonprofit sector institutions indispensable in public policy administration. At the same time, nonprofit sector institutions have to be distinguished from public sector institutions to ensure individual freedom, competition and personal achievement in the free market economy. In other words, nonprofit sector institutions are always needed to provide distinct gray environment to freely blend private and public economic activities for valuable essential goods and services. The underlying issue of equitable income distribution remains in a free market economy despite various attempts at progressive taxation and subsidy entitlement approaches in public policy administration because social and economic values are intertwined. 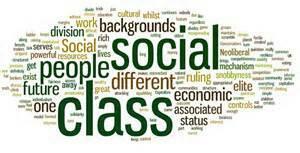 Apart from having to deal with diversty of social values, attempting to artificially separate social and economic values could result in social injustice and disorder. Therefore, nonprofit institutions that are neither public nor private instititutions become indispensable to ensure natural evolution of diverse social values. Of course, the natural evolution of diverse social values is based on the assumption of existing self-regulating social environment with basic law and order. This critical reasoning is essential for public administrators seeking to speak truth to power in the polarized political environment. Ultimately, economic development is about optimum utilization of available resources for maximum mutual benefits of the people. Public administrators hold positions of trust and should be able to think critically about their decisions in the administration of essential goods and services. Partnership with nonprofit organizations is not a contractual agreement with public sector institutions as it is commonly being treated. Unlike contractual relationships, the partnership could take various forms. It could be adversarial, cooperative, complementary or collaborative. All these different forms of relationships are essential for natural evolution of diverse social values in a just, stable and progressively growing economy. It calls for critical thinking about fairness, knowing there are no set of rules and regulations for perfect solutions. It requires critical reasoning to reconcile seemingly divergent individual efforts with communal efforts for equitable mutual benefits.